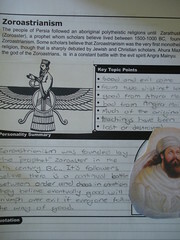 The last few Weekly Wrap-Up posts have included my son’s notebook pages as part of his history and literature study. I explained that he uses these notebook pages to start write more formal essays and I thought you might like to know how he does that in a more step-by-step way. He is a great note taker, partly because he is able to digest the information but also because we worked on it as part of the Institute of Excellence in Writing(IEW) lessons. In the IEW system, the student takes these notes and organizes them in what they call a “key word outline”. The student then takes that key word outline(KWO) and makes a first draft of their essay. At first they have a checklist of “dress-ups” that they use to make their writing more interesting and varied. 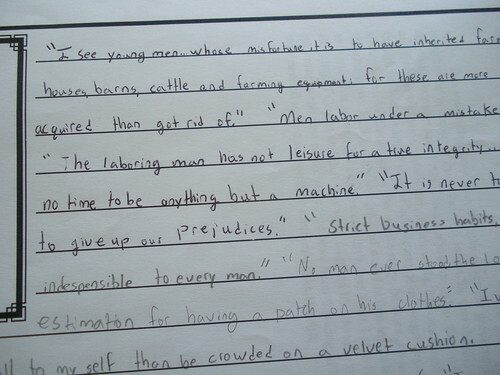 The checklist reminds them to vary the opening of the sentences and to use various types of words. These steps are easily accomplished by first taking notes on notebook pages. 1. 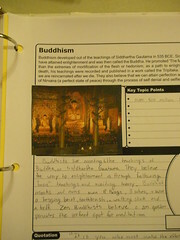 After reading, the student sits with pencil and notebook page to write the main ideas and thoughts. They can write quotes as well. (noting page number for future reference). I don’t give my boys any direction on what to write so they need to read and think about how they can summarize the section in their own words. Make sure to keep track of sources for the bibliography. 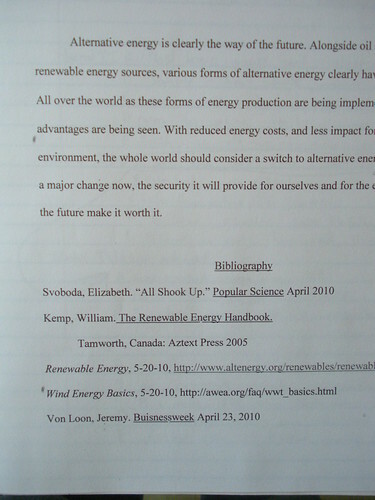 This was an essay on alternative energy. 2. If you are writing an essay that will incorporate more than one source or more than one topic, make a notebook page for each source or topic. For instance in my son’s Ancient History course, he is going to write a formal five paragraph essay on Greek thinkers. He makes one notebook page for each person he is going to feature…probably three. 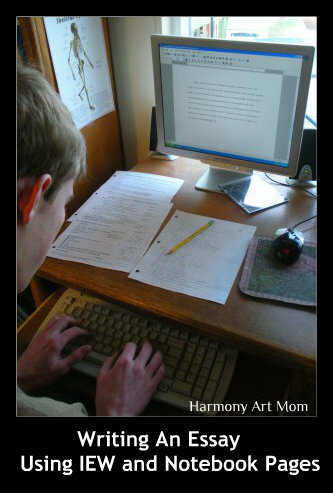 Each notebook page will then be the basis for one paragraph in his essay. 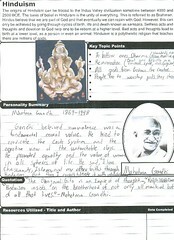 Quotes are easily recorded on notebook pages for inclusion in their final essay. 3. 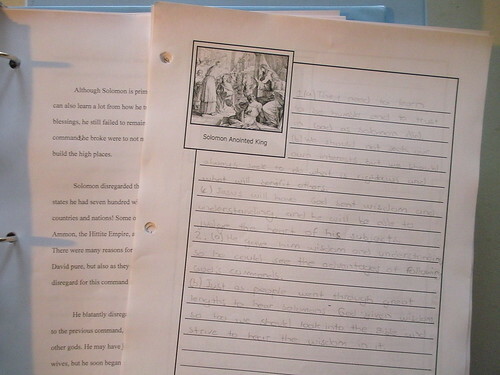 Once they have their notebook pages written, then the student can make a key word outline. In the beginning I would give by sons a template to fill in from the IEW plans. Basically, they are taking the items they wish to talk about and boiling them down to a few words (6 or 7). 4. Take the KWO and write the essay body. Using the keyword outline forces them to write the information and ideas in their own words….love that aspect of IEW. 5. After writing the body, the student can go back and write the introduction, conclusion, and title. 6. When I assign a longer essay (usually two times a year), my boys then make more notebook pages as they keep track of their information. IEW teaches what they call the “super essay” which is basically three five-paragraph essays linked together. For a super essay, it is not unlikely that there will be 10-12 notebook pages made in preparation of the key word outline. The system is slick and easy to master once you have the basic tools. 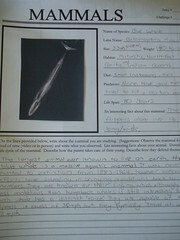 Gather notes on different aspects of a topic and then write a research report. 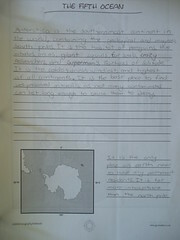 These pages became part of a super essay on the Antarctic. 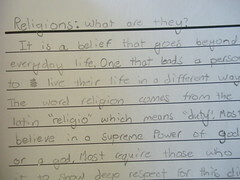 These became an essay on world religions. If you would like to read more about how we use notebook pages in our high school courses, you can click over to my page on Squidoo: Notebooking For High Schoolers. 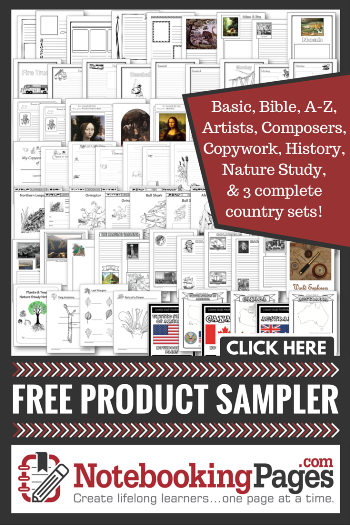 I also have a tab at the top of the blog where I list all the sources for notebooking pages that I use in our homeschool. Many of these we have had on hand throughout middle school. I also highly recommend the Treasury Membership available at NotebookingPages.com. Thank you! It’s nice to see how this all fits together. 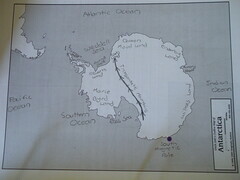 We are using the curriculum called, A World of Adventure by Dorian Holt. 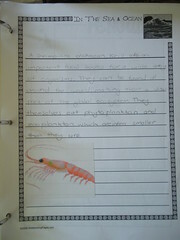 Her writing assignments apparently are based on the IEW process because he has learned to write with the KWO also. We haven’t done notebooking this year, but will be very heavily next year. It’s great to see how to take those notebooking pages, THEN do the KWO from them and THEN write the essay. Great info! Another great nuts and bolts post. You know it’s getting featured in the Round Up. These are very good instructions for writing longer papers. My son and daughter are in that transition phase where they go from short one day assignments to revising and longer reports. I’ve heard IEW is a good program to follow. Great step-by-step process! I like the key word part about forcing them to write in their own words. I always struggled with that in school. Not that I wanted to plagiarize (obviously) but it was hard to re-word when the book is right in front of you! Thanks for linking this up to Trivium Tuesdays…very valuable info! I’ll be pinning this one for future use.